Tasting Note: The entry level BenRiach bottling with no age statement, named for the distillery’s location in Elgin in Moray at the heart of Speyside. This fine single malt captures fruit, honey, heather, spice and oak. 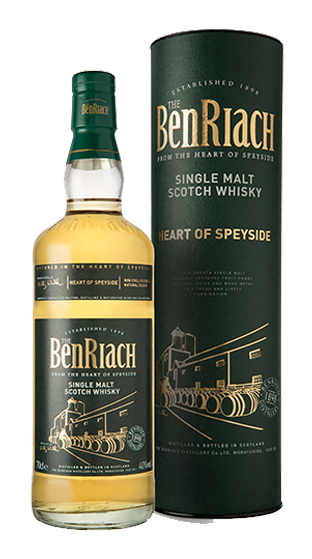 Bottled at 40%, non-chill filtered, the Heart of Speyside truly portrays the classic Speyside style of BenRiach.